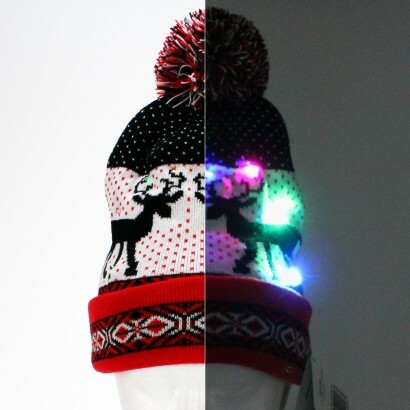 Keep snug this winter in a stylish fair isle styled reindeer beanie hat complete with eight flashing colour change LEDs! 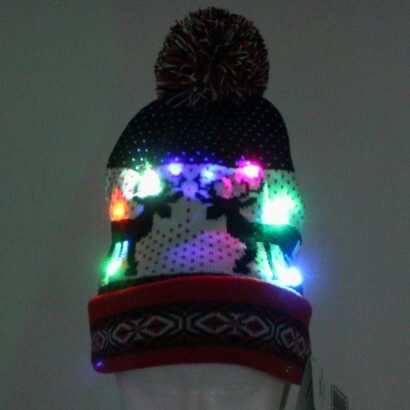 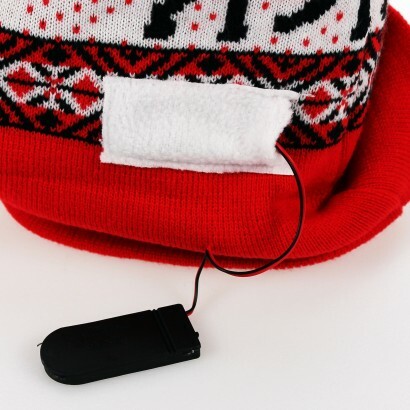 A beautiful quality knitted winter hat in black, red and white, this stylish winter warmer will keep you cosy and spread a touch of Christmas cheer as it lights up with colourful LEDs! 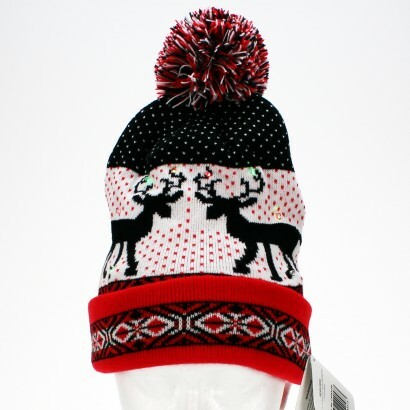 Perfect for festive evenings and for brightening up dull winter days, this knitted beanie hat is suitable for most sizes.